Sheila Kuehl took a big step Tuesday toward being California's first openly-gay state senator Washington, D.C. --Four of the five openly gay and lesbian candidates endorsed by the Gay and Lesbian Victory Fund strongly prevailed in the California primaries Tuesday, providing the gay and lesbian community with welcome good news amidst widespread disappointment over the passage of Proposition 22, an anti-gay ballot measure seeking to limit state recognition of civil marriages to heterosexuals only. Tuesday's big wins leave California well positioned to seat its first openly gay or lesbian state senator, and to double the gay and lesbian community's open representation in the state Legislature. "The election of so many exemplary openly lesbian candidates will help shine the clear light of representation amidst the shadows of discrimination cast by Proposition 22," said Gay and Lesbian Victory Fund Executive Director Brian K. Bond. "California is now poised to welcome its very first openly gay or lesbian state senator, and to double our community's open representation in the Legislature. Four outstanding openly lesbian Victory Fund candidates secured tremendous wins yesterday. These triumphs are historic in their own right -- but they are all the more important in light of the passage of yesterday's divisive ballot measure. The gay and lesbian community will now have more open representation in California to stand as a bulwark against the discrimination surrounding Proposition 22." California Assembly member Sheila Kuehl, a Democrat, resoundingly beat a well-funded opponent in a very competitive race and is now on her way to becoming California's first openly gay or lesbian state senator. The race was for the Los Angeles-based 23rd Senate District seat. 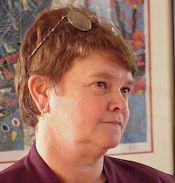 The Golden State's first openly gay or lesbian state legislator, Kuehl was elected to the Assembly in 1994 and re-elected in 1996 and 1998 with Victory Fund support. Last year, she earned widespread praise for her successful and tenacious effort to pass a school safety bill protecting California's students from discrimination and violence based on sexual orientation. Jackie Goldberg, a Democrat, prevailed overwhelmingly in her bid for California State Assembly representing the Los Angeles-based 45th Assembly District. Goldberg was the first openly lesbian elected official in Los Angeles, and enjoyed Victory Fund backing in her 1993 City Council race. She recently spearheaded the passage of the city's new domestic partnership legislation. Christine Kehoe, whose early fund-raising helped fend off potential opposition from fellow Democrats, also came in well ahead of her nearest Republican opponent in this open primary bid for the San Diego-based 76th District seat in the California State Assembly. The Victory Fund characterized her strong showing as an encouraging sign of bipartisan support that bodes well for her election in November. Currently in her second term on the San Diego City Council, Kehoe was the first openly gay person elected to office in San Diego County when she won her first race in 1993 with Victory Fund support. Among her many other accomplishments, she is credited with leading the successful effort to secure domestic partnership benefits for city employees. Toni Atkins was the top vote getter in the race for the San Diego City Council's 3rd District seat, securing her position as the leading contender in the November general election. A longtime senior aide to Council member Christine Kehoe, she is widely respected as an effective consensus builder. Her election to the Council would set a very important precedent by ensuring that the voices of the lesbian and gay community continue to be included in San Diego's city government. The Victory Fund also considers her race to be particularly important because tomorrow's outstanding state and federal openly gay and lesbian elected officials get their start in public life as today's local officials, making it crucial for new candidates to win at the grass-roots level. A fifth Victory Fund-endorsed candidate in yesterday's primaries, John Ladner, has fallen just shy of moving on to a general election run-off in his bid for Los Angeles Municipal Court judge. He came within less than one percent of making the run-off. "Gay and straight Americans alike can take heart from the fact that California's voters brought us some important good news despite the disappointing passage of the divisive anti-marriage measure," added Bond. "Discrimination based on sexual orientation remains widespread and legal in America, and our community remains largely without open representation in public life. "But yesterday's triumphs by our openly lesbian candidates move us further along the path of ending discrimination by increasing our community's representation. A stronger cadre of outstanding openly gay and lesbian public servants will be able to stand up to new anti-gay legislative attacks that may spring up across the country from a right wing emboldened by the results of Proposition 22." Beyond publicizing its endorsements to inform the gay and lesbian community about qualified openly gay and lesbian candidates, the Victory Fund invites direct contributions from its members to the campaigns of their choice. The organization then bundles these contributions and sends 100 percent of this assistance to the campaigns in a strong demonstration of community support when the candidates need it most. In addition, the Gay and Lesbian Victory Fund's political action committee (PAC) also makes its own direct candidate contributions.